Looking for cell phone accessories for less? 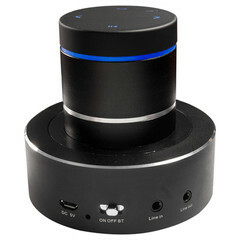 Here at CableWholesale, we have an excellent selection of mobile accessories at wholesale prices. Browse our top-quality selection of Bluetooth headphones and headsets, iPod accessories, and USB wall chargers. Because mobile devices such as the iPhone, iPod, iPad, MacBook and others are becoming more and more popular every year, Cable Wholesale offers a huge assortment of compatible electronic accessories to meet the growing interest in these devices. To charge your new iPhone, iPod, Android phone, or other USB-powered devices, we carry USB car chargers and USB wall chargers. Check out our wide selection of laptop/notebook chargers and laptop power supplies for various models. Our Bluetooth headphones/headsets will work with any Bluetooth device. No Bluetooth? No problem. You will also find a large selection of headphones and headsets with a standard 3.5mm headphone jack. Whether you need USB car chargers or wall chargers, Bluetooth headphones and headsets, or a cleaning kit, you’ll find high-quality mobile accessories at wholesale prices here. If you have any questions about our cell phone accessories for less, feel free to contact us.